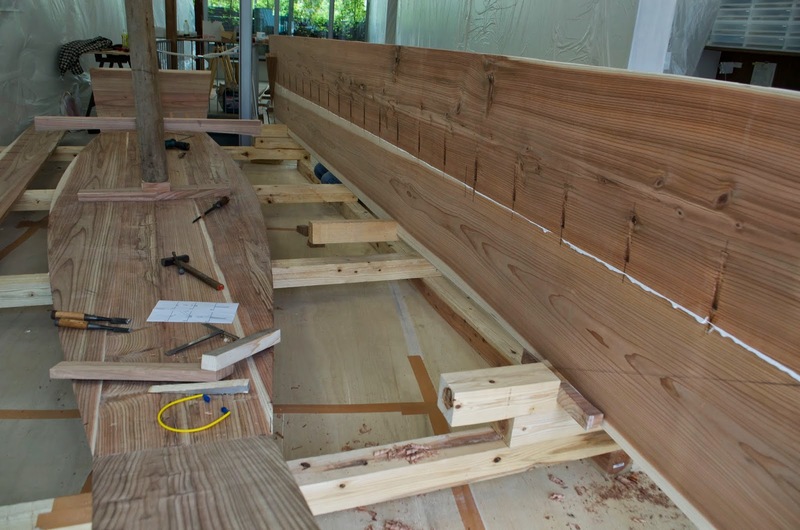 First thing today we edge-nailed two planks together to create the single wide strake for our port side. 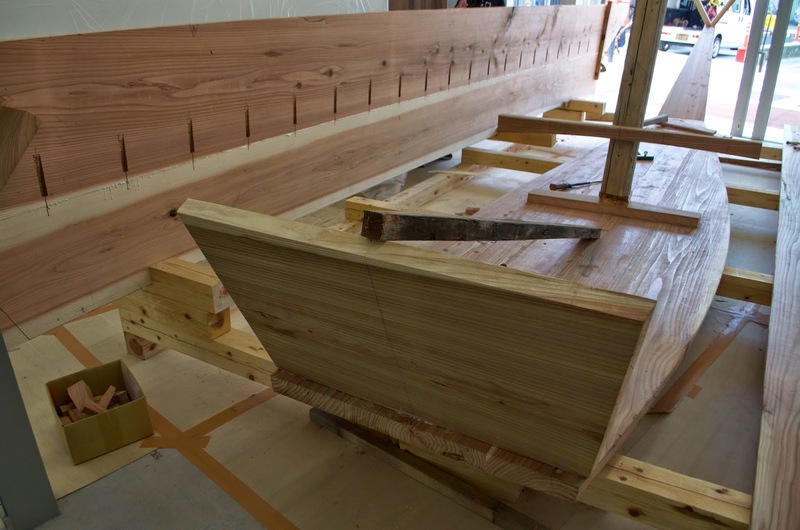 We’ll nail the other side together tomorrow and at least prop our planks in place so we can trace their exact shape and mark nail locations. 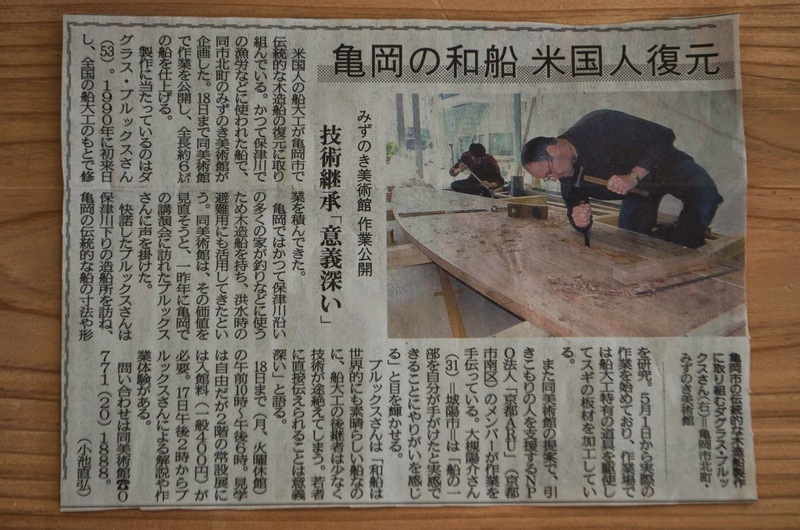 We had visitors galore today, mostly because an article about our project appeared in today’s edition of the Kyoto Shimbun. Its nice to get the press and it brought an interesting mix of people. First off we were visited again by the children’s workshop. This was a new group and once again the teacher asked all the children to come up with a question for me. These have all been related to the boat but one little girl’s question was, “With those long legs can you run fast?” I wish. In the middle of the afternoon a car pulled up with three men. One was the local blacksmith. 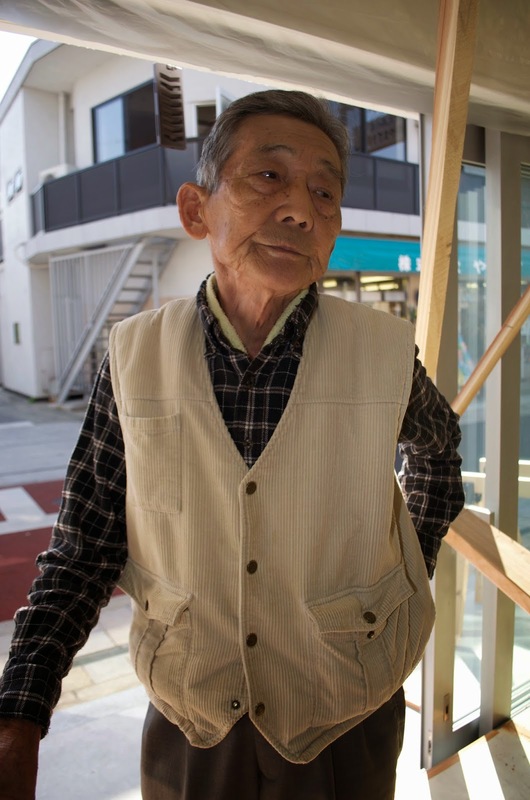 I had met him three years ago when I came to Kameoka to speak at a conference. He had been part of a university study of his life and work, and he spoke at the conference and basically stole the show. He had the audience laughing with his jokes and stories. He said he saw today’s paper and remembered me, and asked his friends to drive him over. He immediately wanted to know where our boat nails came from. 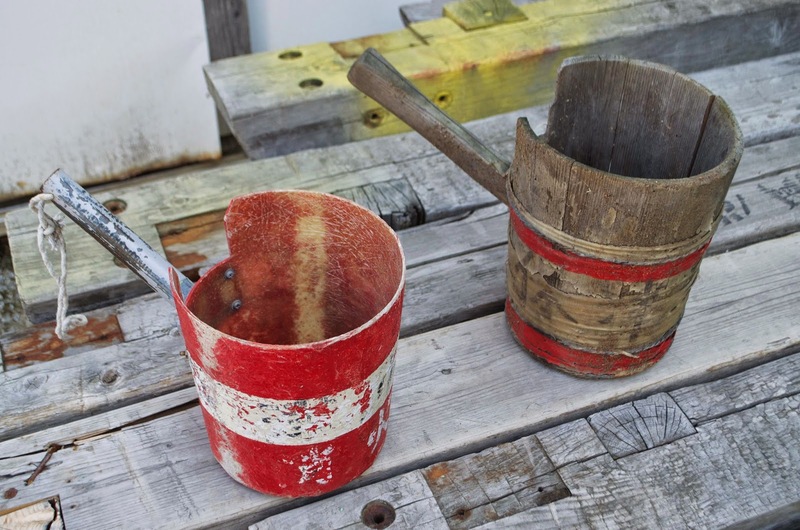 He said that he used to make the boat nails for the local boatbuilder. 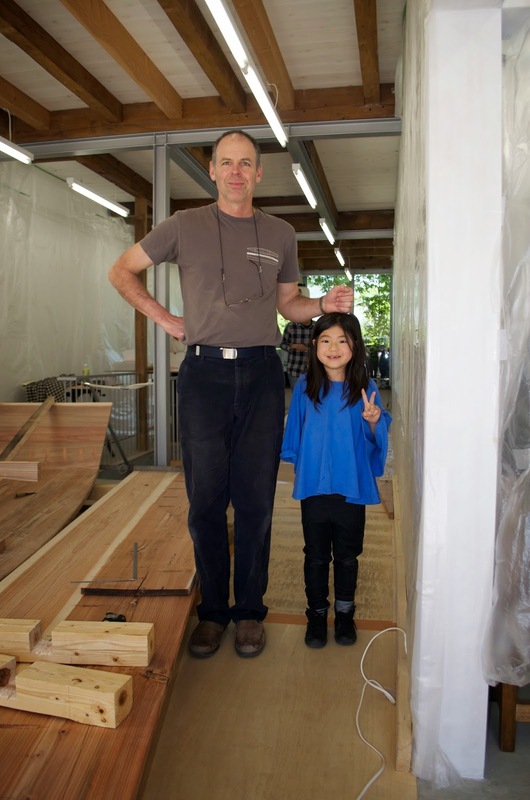 He knew quite a bit about boatbuilding and when I showed him my tsubanomi he asked if he could make me one. I wasn’t sure if he was serious but he borrowed one of mine for a pattern. I suggested he make a very small one, because I don’t have one for our smallest nails (I’ve been making do with a drill and just partially driving my larger chisels). He’s 82 now and seems somewhat frail, so we will see what he comes up with. 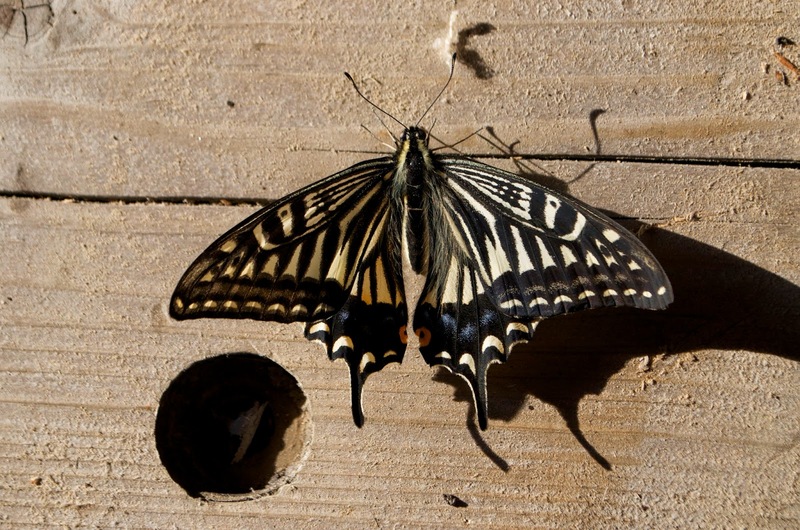 Another man came by and said he’d seen me at the tool sharpener’s shop and wondered what I was doing there. When he read the paper he understood. 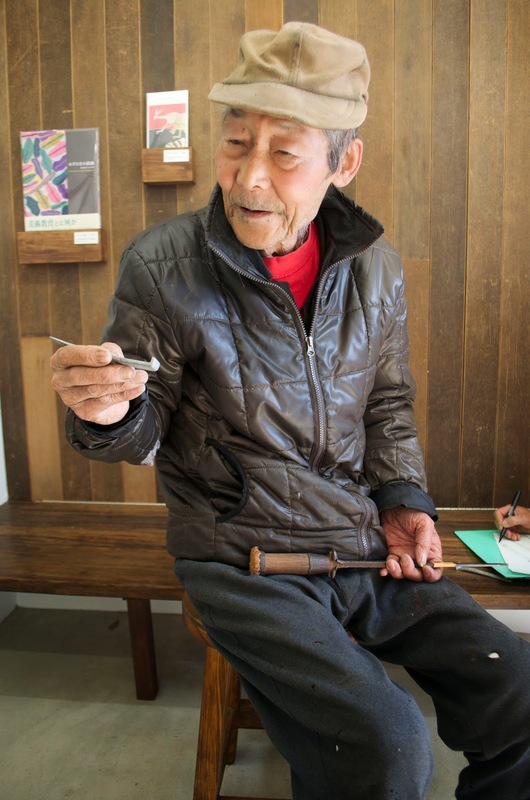 He had worked making fancy candies and sweets, but now carves Noh masks in retirement. He lamented the disappearance of small family operations like the tool store, which he said was third for fourth generation. Late in the day I needed the bandsaw at the tourist boat company’s boat shop so I went over there. 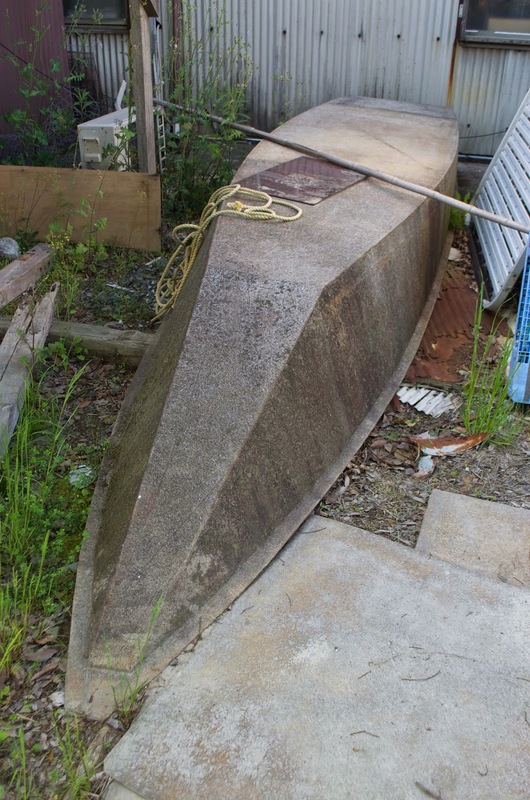 The filmmaker and another interviewer followed me and they talked to Yamauchi san the boatbuilder about the history of ayubune and his work. 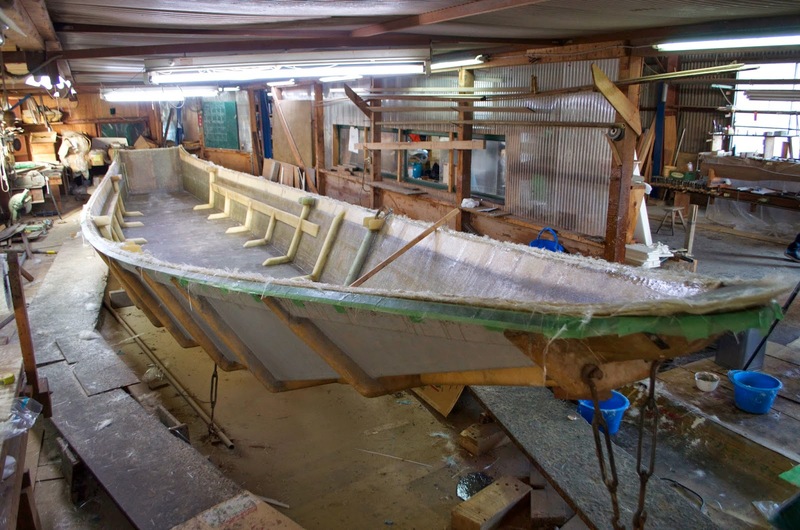 We took a look at the fiberglass mould made from an original ayubune, the source of the dimensions for our boat. 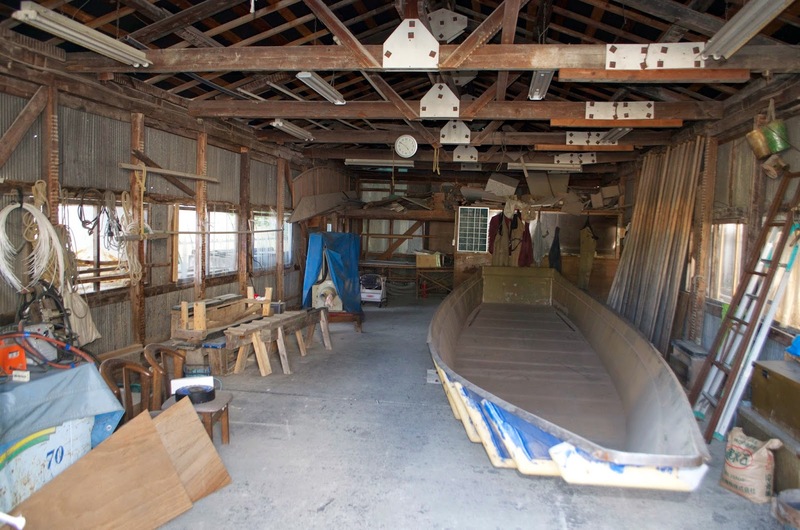 He’s laying up a new fiberglass tour boat and he also pointed out the original shop of the last local boatbuilder. 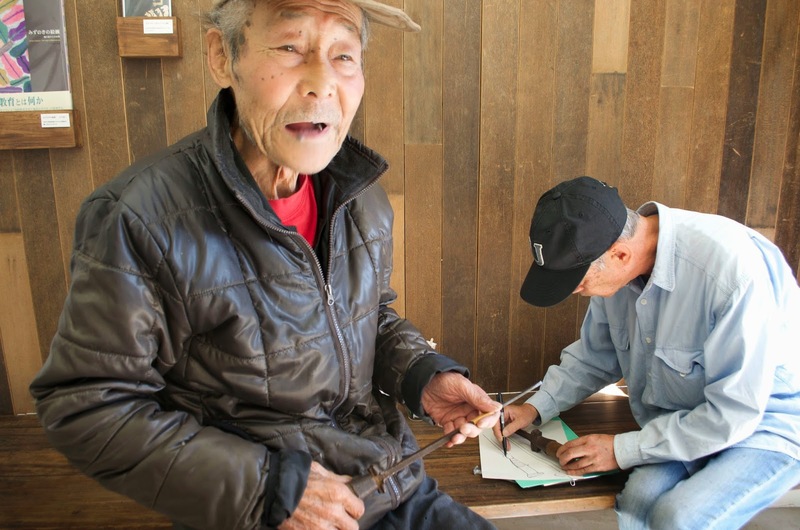 He pulled out his last traditional bailer, which he calls an akashaku (aka is bilgewater and shaku is a ladle found at shrines) along with the fiberglass versions he makes for the company today. New fiberglass tourist boat, based on the traditional model.